New Clients: Amway, World Kitchen, Dell Computers, Hayes Brake, Knowles, X-ACTO, Fresenius-Kabi, Medtronic, Logitech, Hoover, Mixer Design Group, Steelcase, JW Speaker & Ingersoll Rand. 01.11.16 – Design-Engine administers a special Creo 3.0 workshop to Dell Computers in Austin TX. The participants of the training class all knew Solidworks & Rhino 3d so the course was administered as with that in mind. The participants also received one day of the Design-engine level 1 Surfacing class in their final day of training. 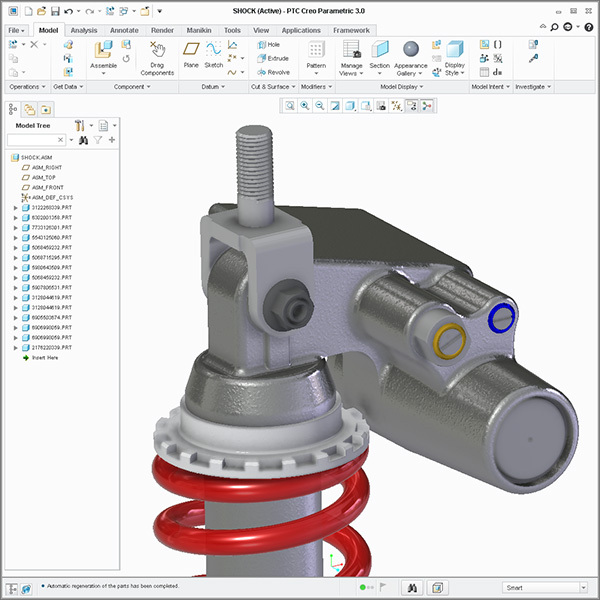 Industrial designers often use Alias or Rhino while their engineering departments use Creo. ID forcing Rhino or Alias IGES models can and often does cause bottle necked problems in engineering as products move past ID thru to Engineering and into production. These Industrial designers discovered a Parametric workflow all while learning to leverage the parent child relationships learning why Creo is so powerful. Dell and Design-engine have a 10+ year working history. 01.11.16 – Mixer Design Group coincidentally requested the Design-engine one week Surfacing class and received that this week also in Austin TX. 01.14.16 – Dell Computers received the Design-engine Mechanism Class called ‘Creo Mechanism Dynamics Intensive’. This intensive covers the specific constraints the first day + analysis functions the second day. However a great deal to cover in two days, this class is an intense two day workshop. http://proetools.com/tag/mechanism Design-engine has a 10+ year history of working with Dell Computers. 01.18.16 – Ingersoll Rand Sends three industrial designers for the Design-engine special 7 day Creo 3.0 class. Creo 3.0 course specifically to industrial designers. 01.25.16 – Motorola, Zebra Technologies and Wistron all join us in Chicago for a Creo surfacing class or what Design engine calls the ‘WEEK ONE Creo Surfacing Intensive’. http://proetools.com/week-one-full-week-of-creo-surfacing-isdx-intensive. Motorola did own the Symbol Technologies arm of Motorola and only recently that arm was purchased by Zebra Technologies. It was a coincidence the two were in the same Creo surfacing class. Design-engine has a long lasting history of working with both Zebra Technologies and Motorola. die cast aluminum parts come together in this Penske Rear shock for a sport bike by one of Design-engines’s four week students looking to gain a Creo Job as a contractor. 02.01.16 – General Atomics office just South of Salt Lake City UTAH takes on the Chicago Winter for a Design-engine Level 1 Creo Modeling & Drawing Class. This class covers many of the basics that all users need to become experts fast including the basics of Surfacing & Top Down Design. This is the class you wish you had when starting out explains one of our Creo instructors to managers looking for training classes. Design-engine has a 10+ year history of working with General Atomics. 02.08.16 – This week Design-engine delivered a three day Creo surfacing intensive to engineers in Holland Michigan at Herman Miller. This custom surface modeling class to Studio Design engineers is a specialty class designed to put participants into a different category of skill sets and confidence. Design-engine has a long history of working with Furniture manufactures. http://proetools.com/week-one-full-week-of-creo-surfacing-isdx-intensive They will get another three days of training after July to complete the Creo Style tools. This was the 4th class total to Herman Miller over the past decade. 02.22.16 – Covidian now a Medtronic company joins us in Chicago for our special Creo surfacing class or what Design engine calls the one week surfacing intensive. http://proetools.com/week-one-full-week-of-creo-surfacing-isdx-intensive. Design-engine has a 10+ year history of working with Covidian. 02.29.16 – Industrial Designers from both Logitech & Hoover join forces with Design-engine and her special 7 day Creo 3.0 class. Creo 3.0 course specifically to industrial designers. This 56 hr class we often administer this class in 10 hr per day + 6 hrs on Saturday. 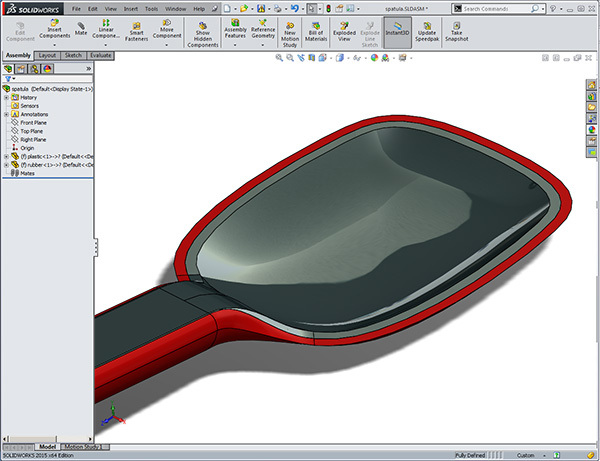 This intensive offers 3 1/2 days basics of Creo + 3 1/2 days Creo Surfacing. We finish this training on Saturday. 03.07.16 – Medtronic’s East Coast Covidian group visits Design engine for Creo Level 1 workshop. 03.14.16 – General Atomics from San Diago California makes a week long visit to Chicago for her Creo Simulate FEA (was Mechanica) intensive. 03.14.16 – Design Engine visits Steelcase in Grand Rapids MI to administer the WEEK1 Creo Surfacing Intensive. This Creo surfacing class was specifically designed to for beginning users or for those designers who already know some surfacing to grow into Creo surfacing experts. 03.21.16 – Design Engine visits Dell in Austin TX to administer the WEEK1 Creo Surfacing Intensive. This Creo surfacing class was specifically designed for Dell industrial designers and studio engineers that previously took a special introductory Level 1 course where all the designers already knew Rhino or Solidworks first. 03.30.16 – Design Engine administered a 3 day surfacing intensive to Liberty Hardware of Chicago. A short walk from the Design Engine West Loop office, Liberty Hardware product development team already took several weeks of training. This Level 12 Creo Surfacing class was developed for those users who want to push their skills further. 04.02.16 – Design Engine headed south as apart of her Engineering School Outreach program to The University of Illinois UofI campus. There we conducted a four hour workshop to Engineering undergraduates. We have traveled to as far way as London England and Mexico City for our Industrial Design & Engineering School outreach program. Purdue, Michigan Tech, GA Tech, University of Chicago & Tec De Monterrey are a few colleges have presented over the years. 04.04.16 – Design Engine again visited Grand Rapids but this time to the Bissell World Head Quarters. This 3 day workshop became a mixture of Creo Freestyle and learning basics of Creo to get the industrial designers excited about learning Creo ultimately it to make a Robust Creo 3.0 deliverable to Engineering. 04.04.16 – Design Engine administers her level one Learning Creo workshop to JW Speaker of Milwaukee Wisconsin. a long time Pro/ENGINEER user, JW Speaker is an OEM that makes headlights for the Major Motorcycle and Auto manufacturers. 04.18.16 – Design Engine visits Kalamazoo MI to again administer the WEEK1 Creo Surfacing Intensive. This Creo surfacing class was specifically designed for Dell industrial designers and studio engineers that previously took a special introductory Level 1 course where all the designers already knew Rhino or Solidworks first. Design Engine is responsible for getting the entire ID team of Rubbermaid to adopt Creo modeling tools thus working Rubbermaid into a more effective team of Studio Engineers and Industrial designers to all use the same tool. 04.25.16 – Knolls & General Atomics all join Design Engine in Chicago for the Creo surfacing intensive. http://proetools.com/week-one-full-week-of-creo-surfacing-isdx-intensive. Design Engine is known for the wide variety of Creo Surfacing Classes as we have over three weeks of special surfacing classes available for participants to enjoy. 05.02.16 – Newell Rubbermaid Sends industrial designers to Chicago for the custom designed Learn Creo Level 1 for industrial designers. 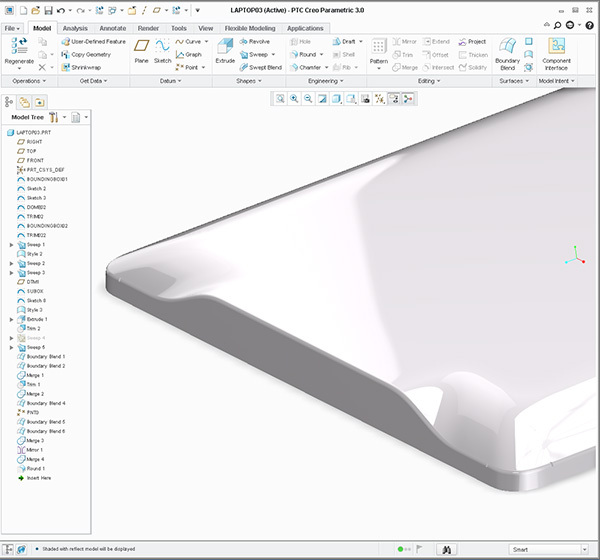 This one week class is the first half of a two week Creo training program developed to get Industrial Designers up to speed with Creo Surfaces quickly. This team will be back for the second week of Creo Surfacing within a few months. 05.09.16 – Liquid Controls & Emerson both join Design Engine in her downtown West Loop offices in a learning Creo Level One class. 05.13.16 – Bart Brejcha Design engine’s lead instructor presented Creo 3.0 Sheetmetal to the Minneapolis Creo User group conference this Friday Afternoon. The presentation was recorded as parts will be added to the Design-engine Youtube Channel. Be sure to subscribe. 05.16.16 – The participants in this course are usually the leaders within their organization and must have previously taken the WEEK ONE Creo surfacing Intensive already and have used Creo surfaces for one year. All Long time customers of Design-engine, KI of Green Bay WI, POC of Los Angeles California & CNH of Burr Ridge ‘Case New Holland’ all join forces in Chicago’s West Loop Design engine offices for the ‘WEEK TWO Creo Surfacing intensive‘. This second week of Creo Surfacing http://proetools.com/one-week-level-2-custom-pro-surface-idd-intensive/ pushes the participants very hard using Creo 3.0 surfaces for this second one week surfacing course. 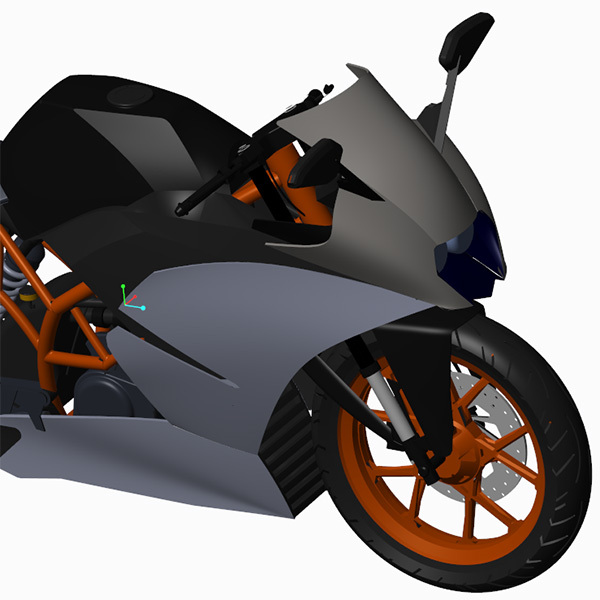 We create several engineering changes to this KTM STEP import model in the design engine WEEK TWO Creo Surfacing intensive. 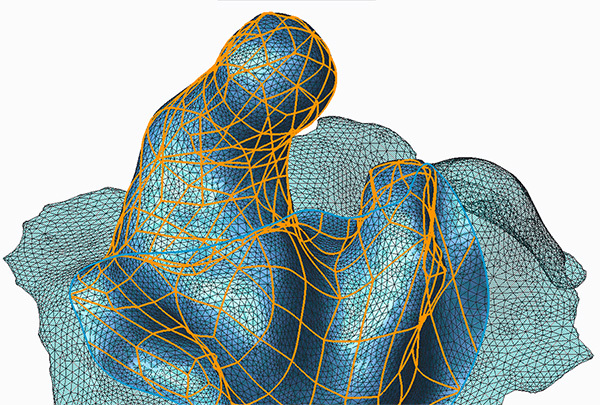 This Second week of surface modeling training is only offered two times per year. 05.23.16 – Knowles Electronics & Fresenius-Kabi enjoyed Chicago in for a one week Surfacing training Creo surfacing intensive. http://proetools.com/week-one-full-week-of-creo-surfacing-isdx-intensive. Visit our list of Creo Surfacing training Classes here. 06.13.16 – WEEK ONE Creo surfacing Intensive administered onsite to Ingersoll Rand Mechanical Engineering staff in the New Jersey Head Quarters. 06.13.16 – This week at Design Engine Chicago we administered again the WEEK ONE Creo surfacing Intensive this time to Knolls Electronics engineers. 07.11.16 – This weeks Creo 3.0 Level 1 workshop is to ZF Transmissions & Knowles Electronics engineers in Design–engine’s Chicago training Studio. 08.01.16 – Belkin of Los Angeles CA visits Design-engine for a two week back to back training program. First Designing with Creo then Creo Surfacing training. Another participant in the class a French designer came all the way from Chen Zhen China for the same two week class. 08.15.16 -Bissell sends two designers for Rhino 3d Training. The class is excelling fast however and the instructor moved into the Design engine Rhino 3d level 2 Nurbs modeling portion of the class to accommodate the special industrial designers learning needs. Be sure to visit the Design-engine Instagram page to see some of the models the participants have built using Rhino 3d. 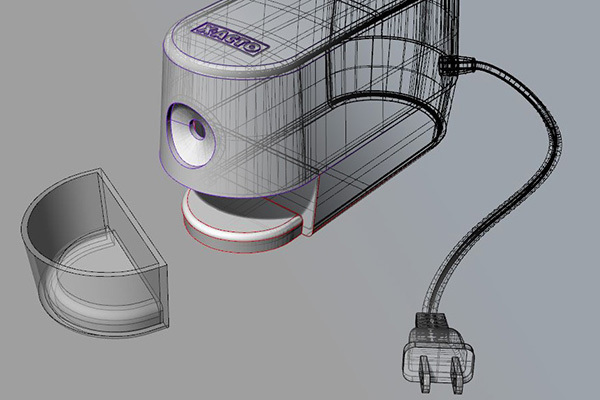 X-ACTO sharpener in Rhino3 d Part of the Rhino training Level 1 class to Bissell designers. Coincidentally X-ACTO Engineers were in the Chicago office at the same time taking Creo Level One class. Knowles Electronics the hearing aid people. http://proetools.com/creo-surfacing-level-4-restyle-reverse-engineering/ The last part of this class focused on actual projects the team needed completed for work the following week. The team required a custom product to fit specifically into a person’s inner ear scan data. 10.10.16 -Design Engine administers a learning to design with Solidworks training class to Medical professionals from Fresenius Kabi of Chicago. 10.17.16 -Design Engine administers a special customized Creo course to Studio engineers from Newell Brands. These engineers have attended a wide variety of courses from design engine over the past three years and are product design leaders overseeing the industrial design departments of Newell Brands. Course included Creo Freestyle, Import Data Doctor, Family Tables, Mechanism Design, Top Down Design, A-Class Surfacing &Flexible Modeling. 10.31.16 -Design Engine administers another Solidworks Surfacing Intensive to Medical groups from Alere of Los Angeles CA and Radius Product Development of Chicago IL Participants in this course were mixed with both industrial designers and mechanical engineers. 11.07.16 -Design Engine administers her learning to design with Creo training class to GE Healthcare industrial designers. 11.28.16 -Design-engine administers her specialty workshop for a third time Advanced Heavy User Creo Level 3 course to Mechanical Engineers of Sandia National Labs in our downtown Chicago Studio. 12.05.16 -Design-engine offers a special Learn to design w/ Creo class to JW Speaker engineers. JW Speaker makes innovative lighting systems for cars, trucks, motorcycles and tractors. Coming into this class, these engineers already knew the basics of Creo. Understanding this fact, this customized workshop pushed the engineers enhancing them to communicate designs more effectively. This customized workshop enabled participants with the basics of Surface modeling with Creo as well.